Oreste P. D’Arconte, publisher of The Sun Chronicle, was elected president of the Massachusetts Newspaper Publishers Association during the group’s annual meeting Dec. 5 at Anthony’s Pier 4. D’Arconte has been publisher since 1998 and has been with The Sun Chronicle and a predecessor, The Attleboro Sun, for 39 years. He succeeds Larry McDermott, publisher and chief executive officer of The Republican in Springfield. Peter Haggerty, publisher of the Daily Times Chronicle in Auburn, first vice president. Aaron Julien, publisher of the Daily Hampshire Gazette, second vice president. Andy Eick, New England general manager of USA Today, treasurer. 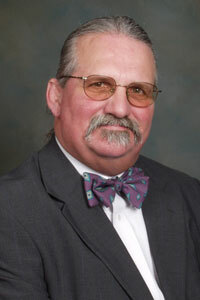 William B. Ketter, vice president of news for Community Newspaper Holdings, secretary. Retired Supreme Court justice John M. Greaney, now with Suffolk Law School, was the luncheon speaker. In addition to the MNPA, D’Arconte is board secretary for the New England Press Association and chairman of its annual convention in February, and is contest committee chairman for the New England Newspaper Association.